An engaging activity that will keep little ones busy for Easter Day! Can be used for morning work, a station, or for a fun class activity! 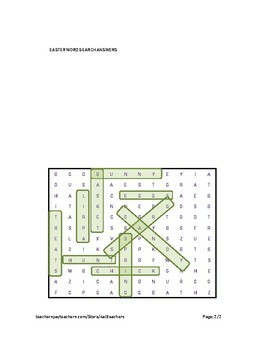 Includes 10 simple words related to Easter Holiday. 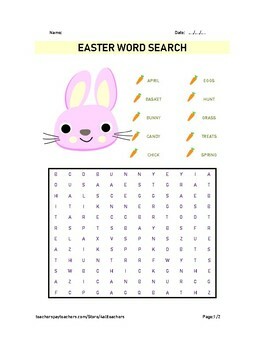 If you like "Easter Word Search" activity, please check out "Easter Word Hunt" activity. Please follow 4AllTeachers Store to receive email updates on upcoming freebies and teaching resources!